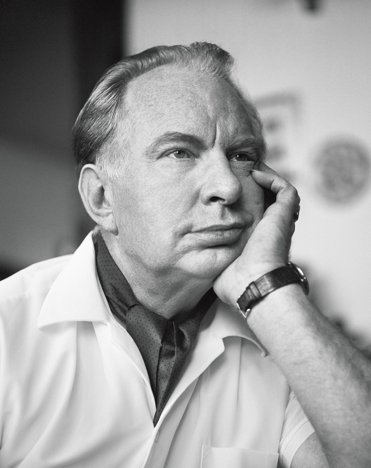 L. Ron Hubbard was the first to scientifically isolate, measure and describe the true potentials of the human spirit, potentials found to be possessed by every human being and universally attainable. From this path of knowledge came Scientology and the accomplishment of the goal of every great religion: Freeing the soul by wisdom. The hardest task one can have is to continue to love his fellows despite all reasons he should not. And the true sign of sanity and greatness is to so continue. For the one who can achieve this, there is abundant hope. For those who cannot, there is only sorrow, hatred and despair. And these are not the things of which greatness—or sanity or happiness are made. A primary trap is to succumb to invitations to hate. There are those who appoint one their executioners. Sometimes, for the sake of safety of others, it is necessary to act. But it is not necessary to also hate them. To do one’s task without becoming furious at others who seek to prevent one is a mark of greatness—and sanity. And only then can one be happy. Seeking to achieve any single desirable quality in life is a noble thing. The one most difficult—and most necessary—to achieve is to love one’s fellows despite all invitations to do otherwise. If there is any saintly quality, it is not to forgive. “Forgiveness” accepts the badness of the act. There is no reason to accept it. Further, one has to label the act as bad to forgive it. “Forgiveness” is a much lower-level action and is rather censorious. True greatness merely refuses to change in the face of bad actions against one—and a truly great person loves his fellows because he understands them. After all, they are all in the same trap. Some are oblivious of it, some have gone mad because of it, some act like those who betrayed them. But all, all are in the same trap—the generals, the street sweepers, the presidents, the insane. They act the way they do because they are all subject to the same cruel pressures of this universe. Some of us are subject to those pressures and still go on doing our jobs. Others have long since succumbed and rave and torture and strut like the demented souls they are. We can at least understand the one fact that greatness does not stem from savage wars or being known. It stems from being true to one’s own decency, from going on helping others whatever they do or think or say and despite all savage acts against one, to persevere without changing one’s basic attitude toward Man. To that degree, true greatness depends on total wisdom. They act as they do because they are what they are—trapped beings, crushed beneath an intolerable burden. And if they have gone mad for it and command the devastation of whole nations in errors of explanation, still, one can understand why and can understand as well the extent of their madness. Why should one change and begin to hate just because others have lost themselves and their own destinies are too cruel for them to face? Justice, mercy, forgiveness, all are unimportant beside the ability not to change because of provocation or demands to do so. One must act, one must preserve order and decency. But one need not hate or seek vengeance. It is true that beings are frail and commit wrongs. Man is basically good, but Man can act badly. He only acts badly when his acts, done for order and the safety for others, are done with hatred. Or when his disciplines are founded only upon safety for himself regardless of all others; or worse, when he acts only out of a taste for cruelty. To preserve no order at all is an insane act. One need only look at the possessions and environment of the insane to realize this. The able keep good order. When cruelty in the name of discipline dominates a race, that race has been taught to hate. And that race is doomed. The real lesson is to learn to love. He who would walk scatheless through his days must learn this—never use what is done to one as a basis for hatred. Never desire revenge. It requires real strength to love Man. And to love him despite all invitations to do otherwise, all provocations and all reasons why one should not. Happiness and strength endure only in the absence of hate. To hate alone is the road to disaster. To love is the road to strength. To love in spite of all is the secret of greatness. And may very well be the greatest secret in this universe.